Leaf Hand Fans Design Leaf Hand FansCustom lanyard are the most popular and economical lanyard we have, these polyester lanyards are perfect for conferences, trade shows or as identification for building entrances. You can choose between one of our basic lanyard attachment free of charge that include an J-hook clip, Lobster clip and Heavy duty trigger clip, and Badge Holder options attached with it. 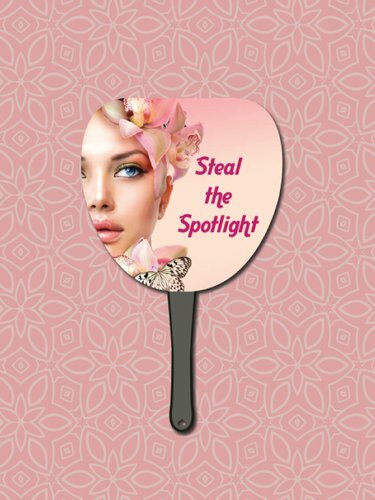 Our Leaf Hand Fans are simply not just ideal for advertisement, marketing and promotions. They are also great giveaways for charities, church, and school events. They can become great party favors at birthday and graduation parties, weddings, reunions, and anniversaries. The shape of these fans makes them suitable to include fitting messages in the large imprint area to get inside the minds of your customers. They will leave positive impression on your patrons and will provide you the relaxed advertising solution. Since we offer affordable pricing and no setup charges, so do check out these hand fans quickly to get them printed right away!.